M4V is the common but non-standard use of the MPEG-4 file extensions. It is due to the popularity of Apple’s iPod and the iTunes Store. MPEG-4 is a multimedia container format. It is most commonly used to store digital audio and digital video streams, but can also be used to store other data such as subtitles and still images. The official filename extension for MPEG-4 *.mp4, thus the container format is often referred to simply as MP4. With M4V Video Converter, you can convert, edit and burn a lot of other video and audio formats. Most key video formats are supported: AVI (DivX, XviD, etc. ), DV AVI, MP4 (inc. Sony PSP, Apple iPod, Blackberry), WMV, 3GP, 3G2, QuickTime (MOV, QT), SWF, DVD, VOB, VRO, MPG, MPEG 1,2,4, DAT, VCD, SVCD, ASF, ASX, MJPEG, H.263, H.264, , DVR-MS, FLV. 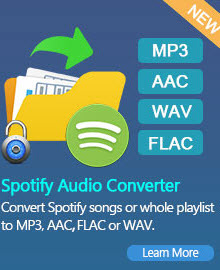 Most key audio formats are supported: WAV, FLAC, APE, OGG, MP3, MP2, WMA, AAC, M4A, AMR. For iTunes purchased or rented M4V files, it's recommended to use iTunes M4V Converter Plus to convert M4V to unprotected formats like MP4, MOV, WMV, AVI, etc. iTunes M4V Converter Plus is a powerful iTunes Video Conversion software designed for iTunes M4V media files. With iTunes M4V Converter, you can also edit iTunes videos and extract audio from iTunes video. Running Mac OX? 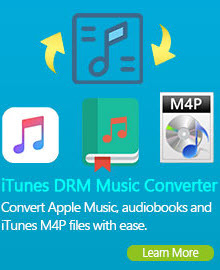 You can use the Mac version of iTunes M4V Converter Plus to finish the DRM M4V conversion task. 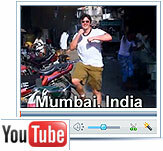 M4V Video Converter is a powerful M4V video converter tool. It converts m4v video to QuickTime MP4, iPod, iPhone format in high speed and great quality. M4V Video Converter can convert M4V to all popular video, like convert M4V to MP4, convert M4V to AVI, 3GP, WMV, FLV, etc. You can also extract audio from M4V, and others to AAC, AC3, AIFF, AMR, AU, FLAC, MP3, M4A, MP2, OGG, WAV, WMA audio, and convert audio to above audios. With M4V Video Converter, you can adjust output video Brightness, Contrast, Saturation and Volume. Checking Deinterlacing is to convert interlaced video to the progressive one to avoid mosaic. This M4V Converter allows you to customize the parameter for output files: bit rate, frame rate, resolution, etc. You can also select the preset format that design for you player like iPhone, iPod, PSP, Zune, etc. Purchased M4V movies are permitted to play on 5 devices. iTunes M4V rental can only play on 1 device. You could NOT play them on your own mobile devices other than Apple devices. It's really unfair if you have paid for M4V, but you can't play on your PSP or Zune. M4V Video Converter can convert M4V to be played well on Wii, Zune, Zune 2, Xbox, Xbox 360, Google Phone, Sony Walkman, Archos, Creative Zen, iRiver, BlackBerry, BlackBerry Storm, BlackBerry Bold, Palm Pre, Motorala, LG, Sony Ericsson, Mobile Phone, etc. This M4V Converter supports batch conversion, you can also click the check box of “shut down computer when encoding finished” to shut down PC automatically. The user interface of this M4V Video converter is concise, every button you can find quickly and use easily. It provides settings that almost few clicks to finish the whole conversion. Free online technical support and upgrade, provide the best and quick service for you. M4V files are iTunes Video Files. The M4V file format is a standard file format for videos for iPods developed by Apple. Nowadays, Apple’s products like the iPod, iPhone, and iTunes Store, are becoming more and more popular so M4V files are becoming more commonly used. The M4V file format is based on the MPEG-4 AVC video compression, which is a global media standard with the aim to provide optimized video podcasts for the iPod. M4V files are used for TV episodes, movies, and music videos in the iTunes Store. .M4V files are similar to .MP4 files, both of which are MP4 files. The difference is that M4V files are opened with iTunes player by default. MP4 files are opened with Quicktime player by default.